A recent study in February 2017, analyzed whether the risk of implant revision varies with patient’s age at the time of surgery, in total knee and hip replacements. Patients who had undergone total knee replacements (>54,000 patients) and total hip replacements (>64,000 patients) between 1991 and 2011 were followed up for 20 years. It was found that males who were below 70 years of age during surgery (total knee and total hip replacements) could be associated with a higher lifetime risk of implant revision. However, the lifetime risk of implant revision was 15 percent less in females of the same age group. Furthermore, for patients who underwent surgery before the age of 60, the average time of revision was found to be 4.4 years, post-surgery. The knowledge of the above findings may be useful in deciding on the best time to undergo a total knee or total hip replacement. Statistics show that if you are a male and of 70 years or above at the time of a total knee or a total hip replacement, the chances that you will need a revision surgery at a later stage are less. Unless an immediate surgery is unavoidable for you, you could ask your surgeon’s advice on whether you could choose to go under the knife when you are older. Based on the pros and cons of postponing surgery in your joint’s condition your doctor will be able to recommend how long could your operation be delayed and what would be the best time for you to undergo surgery. It should be noted that the above findings and interpretations are based on population analysis in UK. The rates of revision in similar age groups among Indians may show variations. 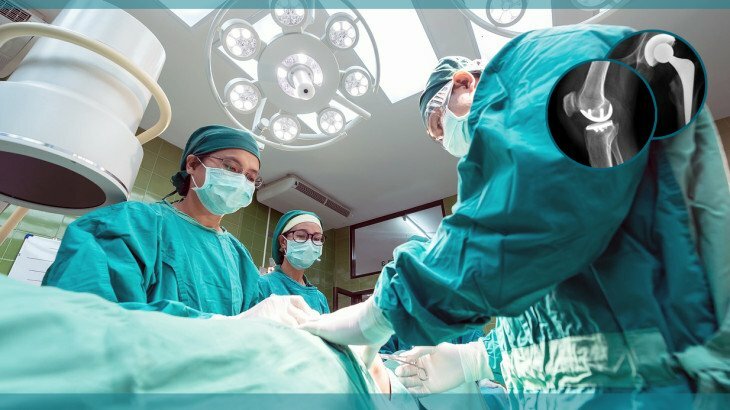 The above information does not imply that people from all ethnic groups should undergo joint replacement surgeries after the age of 70 to curtail their probability of needing a revision surgery. Response to medical treatments may vary depending on a range of factors which include lifestyle, diet, immunity, and genetic makeup of patients. Besides, 2012 statistics suggest that the average life expectancy in the UK is 81.5 years unlike 66.2 years in India, hence age related statistics may be largely different among populations. Delaying a surgery may lead to worsening of your joint’s condition and causing further harm. You must check the advantages and disadvantages of undergoing a replacement surgery at an early stage, with your surgeon. General, Hip Replacement, Knee Replacement. permalink.